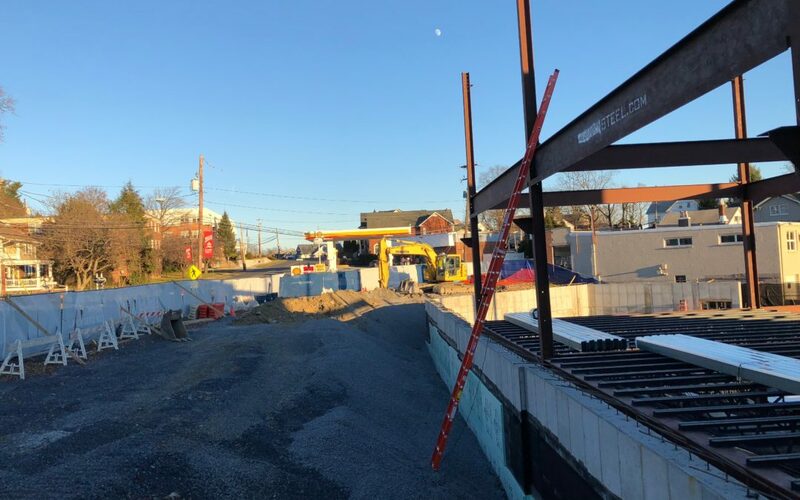 Steel work at Neighbors and Smith - Pyramid Construction Services, Inc.
Steel work has begun on a retail construction project in Camp Hill. Smith Land & Improvement Corp.’s redevelopment project on Market Street is now in the first phase of construction. The commercial project is scheduled to open in April 2019. The project includes a total of 40,000 square feet of space. In addition to retail, it will house offices within the two, two-story buildings. Several popular nearby businesses plan to relocate to the new property. These shops will reside in the ground floor retail space. Once complete, Neighbors and Smith above all will provide growth potential for small businesses. Pyramid also renovated Smith Land and Improvement Corp.’s headquarters, located across the street from this new project. Click below to read more. Thanks to Jason Scott at the Central Penn Business Journal for the coverage of this project.